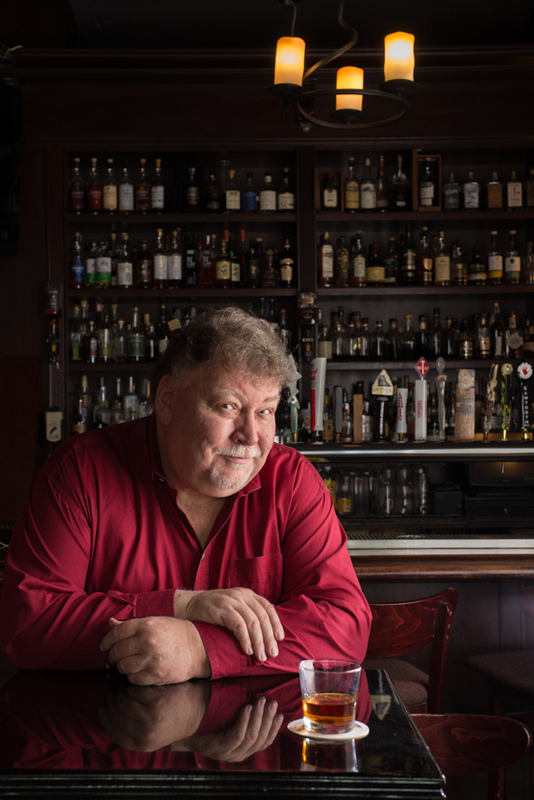 Chuck Cowdery, bourbon enthusiast, expert, blogger. At Fountainhead, 1970 W Montrose, Chicago IL. CHuck is drinking a 10 year old Henry McKenna single barrell, the Fountainhead's house bourbon.